All Vera wants to do is fit in--but that's not easy for a Russian girl in the suburbs. Her friends live in fancy houses and their parents can afford to send them to the best summer camps. Vera's single mother can't afford that sort of luxury, but there's one summer camp in her price range--Russian summer camp. Vera Brosgol was born in Moscow, Russia, in 1984 and moved to the United States when she was five. 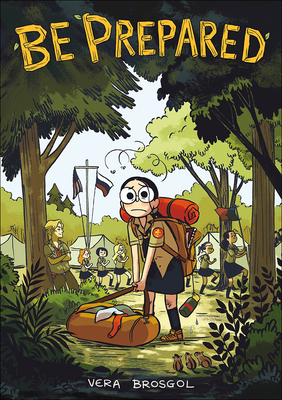 Her first graphic novel Anya's Ghost was published in 2011 by First Second and won Eisner, Cybils, and Harvey awards. Her picture book Leave Me Alone! was a 2017 Caldecott Honor book. She was a storyboard artist at Laika for ten years, working on animated films including Coraline and Kubo and the Two Strings. She lives in Portland, Oregon, and actually really likes camping now.